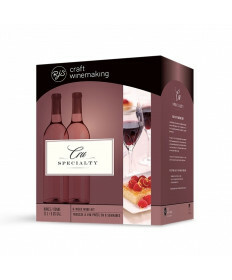 Each year RJS Craft Winemaking offers home winemakers an exclusive selection of outstanding dessert wine kits. With several dessert inspired flavors to choose from, these wines add that extra ‘something’ to your celebrations and finish off a good meal right. Due to the nature of these kits, they are only available for a limited time, and must be pre-ordered before they're available to ship. Deadline for pre-orders is August 16, 2018.